As reported at the New York Times, 57 year old James A. Wolfe, a former Senate Intelligence Committee aide for 30 years, was arrested and indicted (see indictment here) in an investigation of classified information leaks during the Trump presidency. Wolfe repeatedly lied to investigators about his contacts with reporters and made false statements to the FBI. According to prosecutors, Wolfe communicated with a four reporters, using using encrypted messaging applications and his Senate email account, from 2015 to 2017. The media is up in arms as they claim their First Amendment rights have been violated by the seizure of their communication records by the DOJ. However, there will be no arrests of the media and no media names were included in the indictments. Tt is not a crime for the media to report the leak, but it is a crime to leak the classified information. A former Senate Intelligence Committee aide was arrested on Thursday in an investigation of classified information leaks where prosecutors also secretly seized years’ worth of a New York Times reporter’s phone and email records. The former aide, James A. Wolfe, 57, was charged with lying repeatedly to investigators about his contacts with three reporters. According to the authorities, Mr. Wolfe made false statements to the F.B.I. about providing two of them with sensitive information related to the committee’s work. He denied to investigators that he ever gave classified material to journalists, the indictment said. 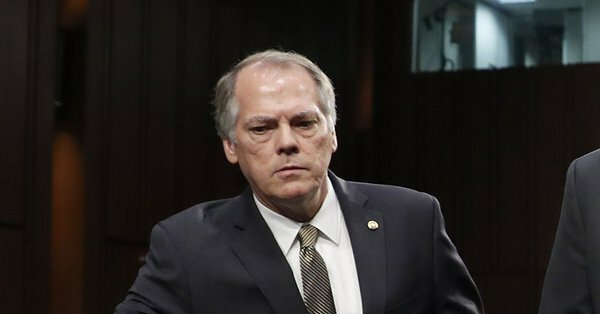 Mr. Wolfe, the Intelligence Committee’s director of security, was slated to appear before a federal judge on Friday in Washington. Reached on Thursday evening before his arrest, Mr. Wolfe declined to comment. Mr. Wolfe’s case led to the first known instance of the Justice Department going after a reporter’s data under President Trump. The seizure was disclosed in a letter to the Times reporter, Ali Watkins, who had been in a three-year relationship with Mr. Wolfe. The seizure suggested that prosecutors under the Trump administration will continue the aggressive tactics employed under President Barack Obama. In his role with the committee, Mr. Wolfe was responsible for safeguarding classified and other sensitive information shared with lawmakers. He stopped performing committee work in December and retired in May. Court documents describe Mr. Wolfe’s communications with four reporters — including Ms. Watkins — using encrypted messaging applications. It appeared that the F.B.I. was investigating how Ms. Watkins learned that Russian spies in 2013 had tried to recruit Carter Page, a former Trump foreign policy adviser. She published an article for BuzzFeed News on April 3, 2017, about the attempted recruitment of Mr. Page in which he confirmed the contacts. WASHINGTON – A former staff employee of the Senate Select Committee on Intelligence (SSCI) has been indicted and arrested on charges of making false statements to special agents of the FBI during the course of an investigation into the unlawful disclosure of classified information, announced Assistant Attorney General for National Security John C. Demers, U.S. Attorney for the District of Columbia Jessie K. Liu, and Timothy M. Dunham, Special Agent in Charge of the Counterintelligence Division of the FBI’s Washington Field Office. James A. Wolfe, 58, of Ellicott City, Md., was indicted by a federal grand jury on three counts of violating Title 18, United States Code, Section 1001. At the time he made the alleged false statements to the FBI, Wolfe was Director of Security for the SSCI, a position he held for approximately 29 years. As SSCI Director of Security, Wolfe was entrusted with access to classified SECRET and TOP SECRET information provided by the Executive Branch, including the U.S. Intelligence Community, to the SSCI. In this position, Wolfe was responsible for safeguarding all classified information in the possession of the SSCI. Wolfe is alleged to have lied to FBI agents in December 2017 about his repeated contacts with three reporters, including through his use of encrypted messaging applications. Wolfe is further alleged to have made false statements to the FBI about providing two reporters with non-public information related to the matters occurring before the SSCI. Conservative talk radio host Mark Levin, the Great One, discusses the Mueller indictments and their lack of any Russian collusion with President Donald Trump. In fact, an independent counsel was not needed to even file such charges. Most, if not all of the things that Mueller indicted Manafort on took place when Robert Mueller was the head of the FBI and Barack Obama was in office. So why wasn’t Manafort charged then? The mainstream media are forgetting crucial details about Paul Manafort’s indictment. If these conspiracy charges were serious, the statute of limitations would’ve legitimately run out. Special counsel Robert Mueller was serving as FBI director while Manafort was allegedly engaged in this criminal activity. The question is why wasn’t a case brought against Manafort when Mueller was in charge of the FBI and the statutes of limitations was a non-issue? That means somebody dropped the ball. And furthermore, President Trump had nothing to do with any of this, this predates his campaign. There’s no Trump world involved in any of this. This isn’t about justice or seeking the truth. This is about doing everything possible to make a case against the president of the United States when you don’t have a case against the president of the United States. The best they could do is dig up financial statements and have George Papadopoulos plead to a false statement. After that, Andy McCarthy a former prosecutor and contributor to National Review calls in to talk about the charges against former members of the Trump campaign. Later, we have Mark Warner alleging collusion, when even Mr. Mueller couldn’t prove collusion from a criminal aspect. There is no collusion but that is not stopping Warner. The bottom line is that the left wants to impeach Trump, and get him out. Finally, William Jacobson of LegalInsurrection.com calls in to talk about the smear effort with false and malicious accusations before he spoke at Vassar College. As reported at the New York Times, Paul Manafort has surrendered himself to the FBI. Manafort and his former business associate Rick Gates are the first to be charged by special counsel Mueller. The news was illegally leaked Friday that a federal grand jury had approved the first charges in the wide-ranging Russia investigation led by Special Counsel Robert Mueller by CNN. 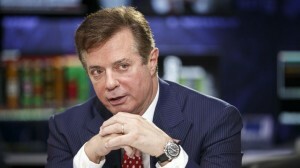 Manafort had been under investigation for violations of federal tax law, money laundering and whether he appropriately disclosed his foreign lobbying. But what does this have to do with any form of collusion that may or may not have taken place during the presidential campaign? The Manafort charges does not come as a surprise after the FBI raided his home this past summer. The indictment is expected to be unsealed later on Monday. Paul Manafort surrendered to federal authorities Monday morning, after a person close to the case said the first charges were filed in a special counsel investigation. The charges against Mr. Manafort, President Trump’s former campaign chairman, were not immediately clear but represent a significant escalation in a special counsel investigation that has cast a shadow over the president’s first year in office. Also charged was Mr. Manafort’s former business associate Rick Gates, who was also told to surrender on Monday, the person said. Mr. Manafort walked into the F.B.I.’s field office in Washington at about 8:15 a.m. with his lawyer. Mr. Gates is a longtime protégé and junior partner of Mr. Manafort. His name appears on documents linked to companies that Mr. Manafort’s firm set up in Cyprus to receive payments from politicians and businesspeople in Eastern Europe, records reviewed by The New York Times show. Mr. Manafort had been under investigation for violations of federal tax law, money laundering and whether he appropriately disclosed his foreign lobbying. UPDATE I: ABC News reports … Paul Manafort, Rick Gates indicted by federal grand jury on 12 charges, including conspiracy against the US. THIS CONFIRMS THAT HILLARY CLINTON COULD EFFECTIVELY BE BLACKMAILED BY A FOREIGN COUNTRY AS PRESIDENT IS ELECTED. Fox News Bret Baier discusses the FBI’s investigation of the Clinton Foundation with Fox News Channel’s Brit Hume, ‘On the Record.’ Not only was there a pay for play scandal and a “likely” indictment in the future, it also appears that there is a 99% chance of accuracy that Hillary Clinton’s private email server was hacked by at least 5 foreign intelligence agencies. WHAT!!! So she didn’t put the United States of America at risk, huh libs? Really? What does this also mean? Potentially there are foreign countries that have the emails that Hillary Clinton deleted and bleachbitted that she could be held up to blackmail. DO NOT ELECT THIS INDIVIDUAL WHO WAS SO DERLICT IN HER DUTY AND LINED HER POCKETS WHILE SUPPOSEDLY WORKING FOR WE THE PEOPLE!!! BRET BAIER: Here’s the deal: We talked to two separate sources with intimate knowledge of the FBI investigations. One: The Clinton Foundation investigation is far more expansive than anybody has reported so far… Several offices separately have been doing their own investigations. Two: The immunity deal that Cheryl Mills and Heather Samuelson, two top aides to Hillary Clinton, got from the Justice Department in which it was believed that the laptops they had, after a narrow review for classified materials, were going to be destroyed. We have been told that those have not been destroyed — they are at the FBI field office here on Washington and are being exploited. Three: The Clinton Foundation investigation is so expansive, they have interviewed and re-interviewed many people. They described the evidence they have as ‘a lot of it’ and said there is an ‘avalanche coming in every day.’ WikiLeaks and the new emails. They are “actively and aggressively pursuing this case.” Remember the Foundation case is about accusations of pay-for-play… They are taking the new information and some of them are going back to interview people for the third time. As opposed to what has been written about the Clinton Foundation investigation, it is expansive. The classified e-mail investigation is being run by the National Security division of the FBI. They are currently combing through Anthony Weiner’s laptop. They are having some success — finding what they believe to be new emails, not duplicates, that have been transported through Hillary Clinton’s server. I pressed again and again on this very issue… The investigations will continue, there is a lot of evidence. And barring some obstruction in some way, they believe they will continue to likely an indictment.